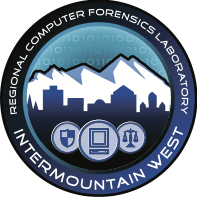 Welcome to the Intermountain West's Regional Computer Forensics Laboratory (IWRCFL) webpage. Our mission is to provide the highest quality digital forensics services and assistance to law enforcement agencies with jurisdiction in Utah, Idaho, and Montana. To better accommodate our expansive service area, the IWRCFL Satellite Network (ISN) was created, and has laboratories in Billings and Boise. The IWRCFL is seeking law enforcement agencies to join us – especially those in and around Billings and Boise. Benefits of participation are numerous – contact IWRCFL Director Cheney Eng-Tow at 801-456-4801. The IWRCFL's service area includes the states of Utah, Montana, and Idaho and any law enforcement agency from those states may submit request for digital media forensic services to the IWRCFL.